Chloe Cerino, soon to also have letters after my name! 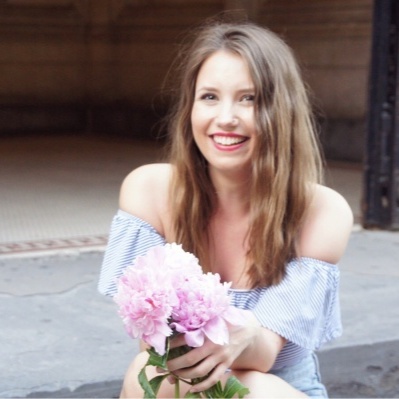 I started my undergraduate career at NYU studying nutrition and dietetics, but quickly picked up psychology as a second major after finding a real passion in the world of eating disorder treatment. I’m currently pursuing my Master’s degree in nutrition education from Teachers College, Columbia University. After I finish, I’m looking forward to starting my dietetic internship to become a registered dietitian. I am the lead recovery coach. Recovery coaches work closely with the RDs to oversee the implementation of client meal plans during program as well as do lots of behind-the-scenes tasks like menu planning. There’s really no such thing as a typical day at BALANCE! One of my favorite parts of being a recovery coach is that I get to play a role in everything taking place here in a given day, from DTP to meal supports to Men’s Group. Everyday is dynamic and it’s fun to be involved in all the diverse groups BALANCE offers. I love the energy that our entire team brings to the office every single day; it’s so clear that everyone feels authentic passion about the work we do. I think that all of our clients are such bright lights and getting to see them start to believe this about themselves, too, is such a special part of this field! What is one of your favorite foods or recipes? I’m a really big reader—my favorite days are ones that I get to spend in a park or coffee shop reading something that interests me. The bucket list item I’m currently working on is to visit every branch of the New York Public Library! Each one has its own character and I find them so enchanting. I’ve already been to 19!